Courtesy of DC Entertainment & Warner Brothers Pictures. We all know the story: Bruce Wayne, orphaned billionaire made a vow to avenge his parent’s untimely death by waging a war on criminals in Gotham City. To do so he adopt the image of a bat to prey on crooks, a cowardly and superstitious lot. This year things are different for Batman, the dark knight, as he now sets his eyes on battling the other famous caped hero, Superman, in Batman v Superman: Dawn of Justice which finds the two caped crusaders in conflict over what sort of hero the world really needs. 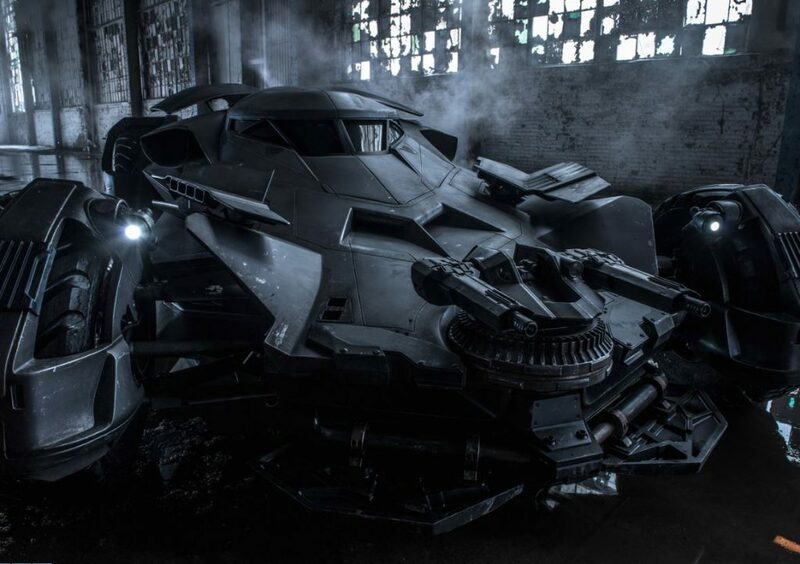 That’s right, we’ve got a new Batman movie on the way and every new Batman needs the comic character’s most famous crime fighting tool in his history: his car, the Batmobile. The hype for this latest superhero smack down of the ages kicks into high gear in time for its March 25th release. As the new Batman played by Ben Affleck has his grudge match with Superman played by Henry Cavill and we already have so much to get excited over. 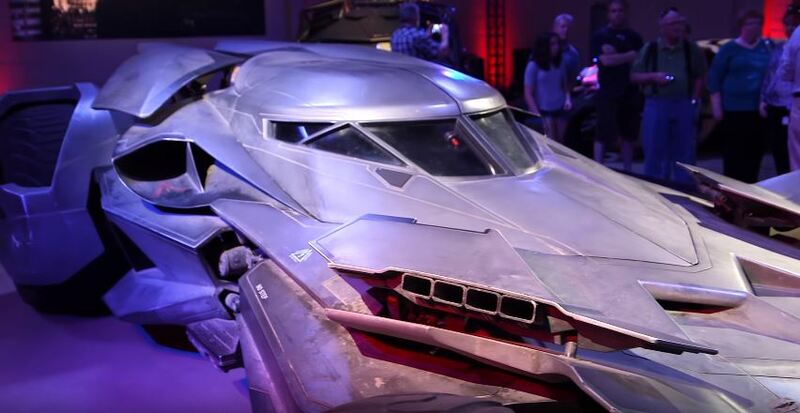 Today, however we’re getting an inside look at the centerpiece of the film’s lavish production design, the new Batmobile. So how did Teutopolis pull off this feat? He molded his initial design based on the anatomy of a bat. Compare the new version to the original, which was basically a fancy Lincoln Futura with a red and black trim. This new take is less “militaristic” than the monster of the Christopher Nolan-directed Batman trilogy with a much more sleek, high-tech and futuristic design. It’s the most angular and animalistic version of the car since Tim Burton’s 1989 version. 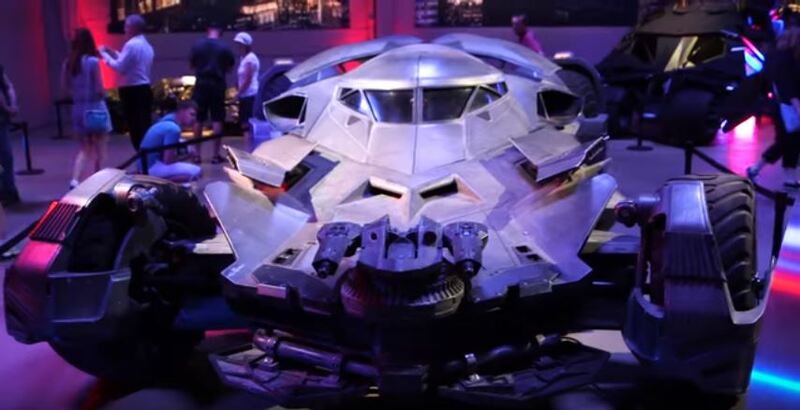 We know that this version of the car uses sculpted tractor tires and we know it uses a modified Chevy V8 engine and is capable of hitting 205 miles per hour but what else have we managed to uncover about the comic book car come to life? What do you think? 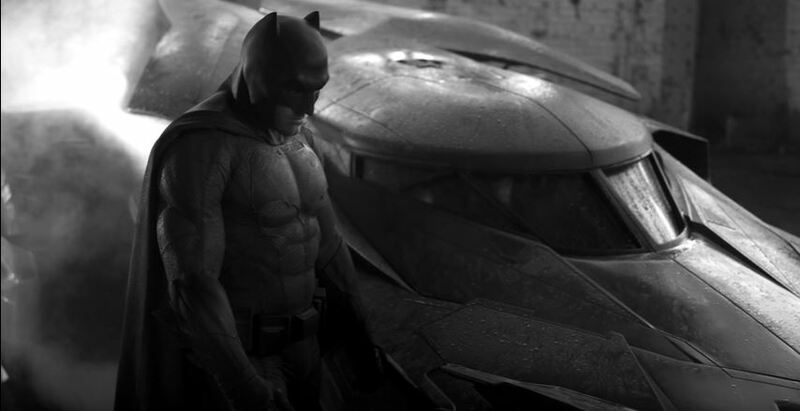 Will Batman be able to stand up to the man of steel in this mean machine? Or is the rodent-garbed racer destined to be road kill? Find out in when you see the movie! Until then, comment below and share with us your thoughts on the latest Batmobile, and where it places in your list of favorite versions! And don’t forget to check out the history of the Batmobile and how it’s changed throughout the years here.